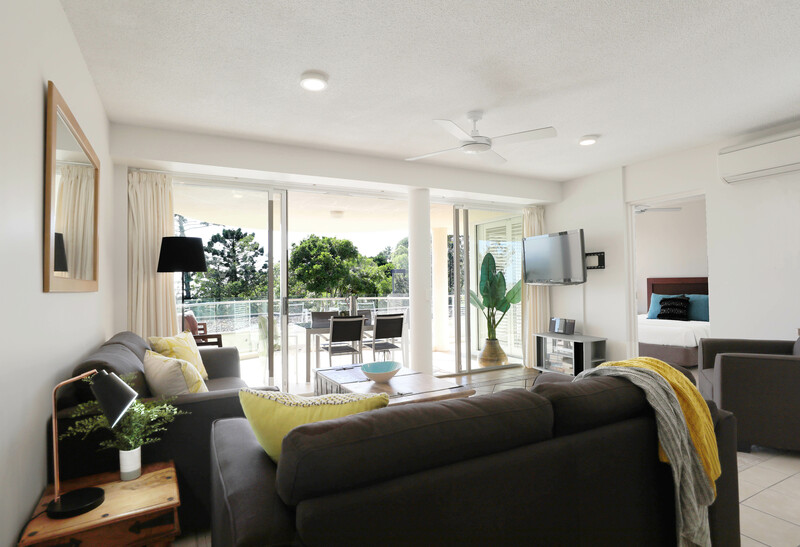 The Standard Apartment offers 2 bedrooms with uninterrupted views of Noosa and Laguna Bay, original furnishings and fixtures. The apartment is spacious and perfectly comfortable, providing all the facilities needed to inspire a relaxed and enjoyable family holiday. The Family Value Apartment provides seclusion and respite for those needing a reprieve from the hustle and bustle of Hastings St and Main Beach, which is accessed via a short private board walk.